What is the difference between pastured pork, free range, bred free range, organic, sow-stall free? How is Australian Pork Produced? If you think the definitions for eggs has gotten too confusing, you will need to read this guide to sort out the different pork labels! What is the difference between pastured pork, free range, bred free range, organic and sow stall free? 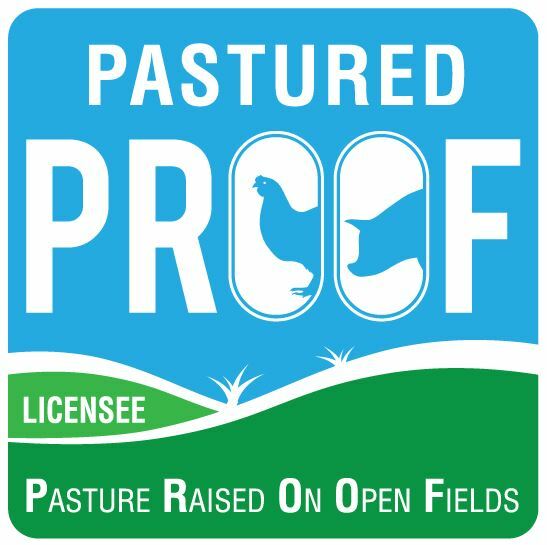 As a PROOF Licensee, a pork producer makes a commitment to you that the pork they produce is born and raised outdoors and conditions will ensure that they are free to roam with access to pasture. Look for the PROOF logo. Free range pork should come from pigs that were born and raised with access to the outdoors. Legal definitions of free range are changing so that access to an outdoor range doesn't mean that the animals actually have to use it. Not all free range farms are the same and conditions vary greatly from open green paddocks to pig feed lot style production. Look for producers that also say they are pastured. Better still, ask for PROOF. The organic standards are more focused on farm inputs and land management and most certifiers only require that the Code of Practice for Animal Welfare - Pigs is complied with. The code offers minimum welfare standards for pigs. The pigs are required to have access to the outdoors and in some instances, to pasture. Because of the strict feed and animal treatment restrictions of the organic standard, organic pork production is not common in Australia and usually only found on very small farms. Bred free range is a very confusing term, so much so that the ACCC has stepped in and now industry has changed the term to Outdoor Bred, Raised on Straw to better align with this production style practices. Sow Stalls or Crates are used to confine individual sows in intensive pig production. These stalls are very restrictive and do not allow free and natural movement by the sow. All she can do is stand up or lie down. She cannot turn around. Sow Stall Free means that sows will not be kept in these stalls, instead the animals will be group housed in sheds. The use of Farrowing Crates, which are a different form of sow stall, has not been phased out. Read more on our pig welfare page. This is not an official category for pork production but it is a term that many refer to for pigs that are kept indoors for their entire lives and the use of sow stalls and farrowing crates is permitted. The pork industry has made a promise to phase out sow stalls by 2017. Unfortunately there is no way to legally enforce such an action because it is quite legal to keep sows in stalls during certain stages of each pregnancy. While sections of the industry have converted to group indoor housing for sows, others will continue to use sow stalls.